Richer Sounds suffers fifth consecutive fall in annual profits | What Hi-Fi? 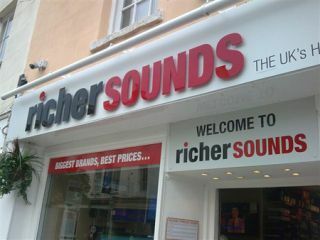 Richer Sounds is the latest electronics retailer to be hit by the economic downturn, posting its fifth consecutive drop in profits for the year to April 2011. Founder and owner Julian Richer has again passed on paying himself a dividend. Accounts filed at Companies House, for the year ending April 2011, show that pre-tax profits at Richer Sounds fell from £2.79m to £2.63m, on turnover down 5%. Profit per employee has now fallen from £11,481 two years ago to £7,737. Richer Sounds is not the only consumer electronics chain feeling the pinch. Carphone Warehouse is expected to pull the plug on its 11 joint-venture UK Best Buy stores when it releases its half year results this week. Best Buy has racked up losses of £83m, and is expected to announce a further half-year loss of £35m, according to The Daily Telegraph. Best Buy has been considering scaling back its operations in the UK for some time, as we reported back in June.